252 hotels with a sea view are waiting for you on the Côte d'Azur. 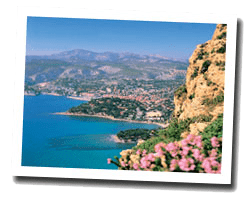 The Côte d'Azur is a popular destination for tourists from all over the world. The seaside offers varied landscapes bathed by the Mediterranean Sea. You can find beaches of sand or pebbles or a rocky coast overlooked by the mountain. Old fishing ports are now home to luxury yachts. On the Côte d'Azur, there are famous seaside resorts like Saint-Tropez or Nice, and others more secret and equally pleasant. Sea view hotels for all budgets await you, from luxury hotels to small family hotels. 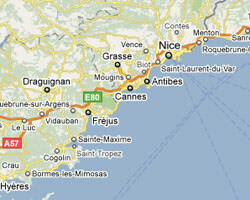 Hotels are listed following the coast from west to east from Bormes- les-Mimosas to Menton.